Riya and Harshit are soon to get hitched. And like most couples, they wanted a pre-wedding shoot before the big day. But unlike most couples, they wanted something completely different. So they ditched the usual fancy-outfit serene-location jazz and decided to go for a breakfast themed photoshoot that reflected their personalities. From the morning beer to the adorable little kisses, we loved all the little details shot brilliantly by Time Shutterz Photography. 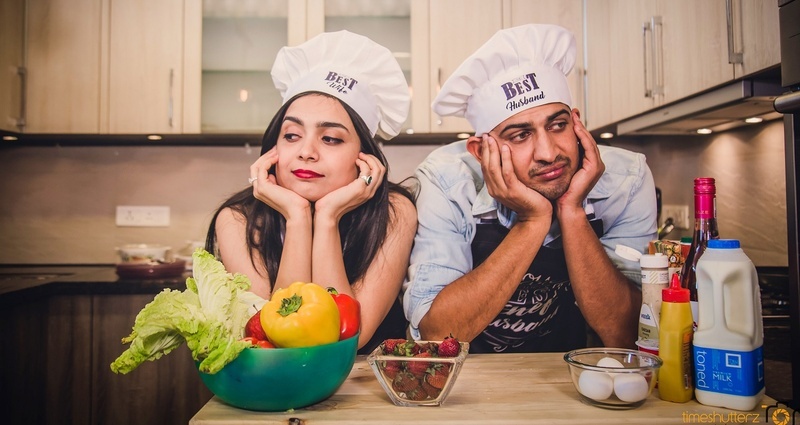 Check out their super-cute, fun and quirky pre-wedding shoot for some great inspo!